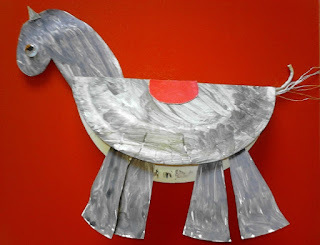 This paper plate art simple and enjoyable for small kids. Paint two plates brown, and let them dry. Cut one plate to make the head and the legs. Fold the other plate half for the body. Add yarn for the tail and a googly eye.